Now that it’s getting cooler, lasagna is a great dish to serve guests: It’s a meal, in that it needs no side dishes, and most people enjoy it. After all, it’s rich and cheesy, so how couldn’t you? I’ve been making lasagna with a blue-cheese bechemel sauce, not tomato sauce. I got the initial recipe from the Barilla Web site, and tweaked it over the years. This year, I decided to add figs, in the name of the holiday. 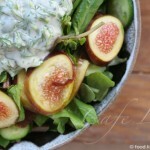 Figs and blue cheese are a great combination, one my cheese guy has been pushing all through fig season in order to boost blue cheese sales (it worked). 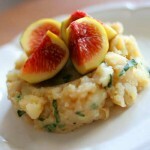 And, I should note, figs are still in season. I snagged a 1-kilo basket for 5 shekels last week. The original recipe called for cherry tomatoes, and no figs. It’s quite good with cherry tomatoes as well, as they add a nice bit of acidity. They’re also absurdly expensive right now. Heat the oven to 220 degrees Celsius (420 degrees Fahrenheit). Thinly slice the onions and zucchini. Melt the butter in a thick pot, and add the vegetables. Once they begin to soften and brown, add the flour, and stir until the vegetables are coated. Slowly add the milk. 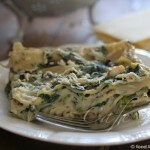 It should absorb the flour from the vegetables, and start to thicken. Cook until the milk is just short of boiling. Shut the flame, and add the blue cheese, crumbled, and the salt, pepper and nutmeg. Adjust to taste. Let the sauce sit so that the cheese can melt, stirring occasionally. Thinly slice the figs. Grate the Parmesan cheese. Put a layer of sauce on the bottom. Lay three uncooked noodles side by side in the baking dish, short ends of the noodles against the long sides of the dish (they should fit very well). Ladle a coating of sauce onto the noodles, scatter some figs on top, and then sprinkle with 1/4 of the Parmesan. 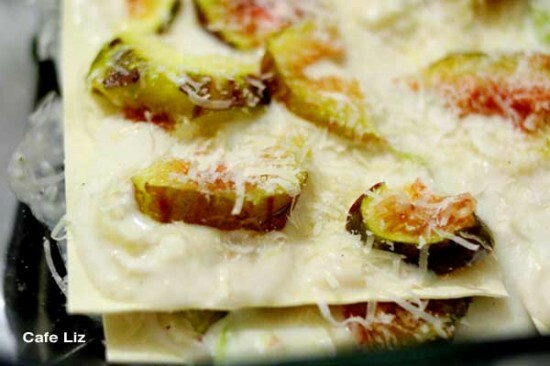 Repeat the last step twice more, so you have three layers of noodles topped with figs and cheese. To finish: Top with three noodles side by side, the rest of the sauce, and the rest of the Parmesan. Bake for about 20 minutes, or until golden on top. 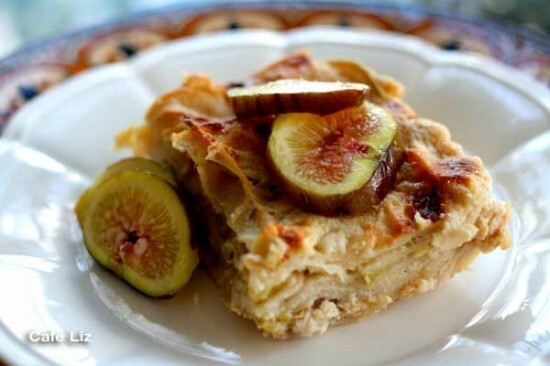 9 Responses to "Blue cheese lasagna with figs and zucchini"
This sounds delicious. 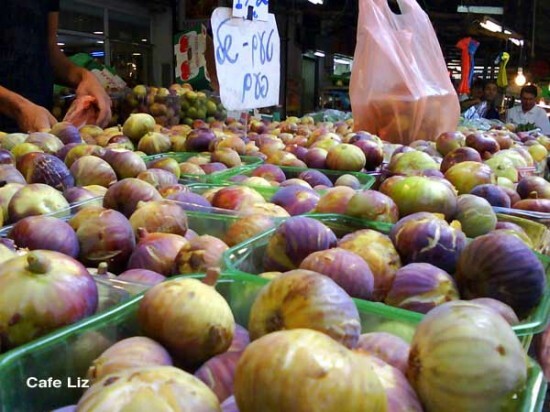 Can you give me an idea of approximately how many figs are in 300 grams? Unless you have a fig tree here in New Jersey figs are rather hard to come by because they tend to get moldy immediately, they don’t last a day after you get home from the store. Hi Dorie, I believe I used between 8-10 figs. You can use more or less, depending how sweet you want the lasagna to be. I’m surprised your figs don’t last, since while of course they’re best fresh from the tree, I’ve had some survive in my fridge for 3-4 weeks. HOW MUCH MILK FOR 45GRAMS FLOUR? Hi Sophie, thanks for catching that! 1 liter milk. I’ve updated the recipe.